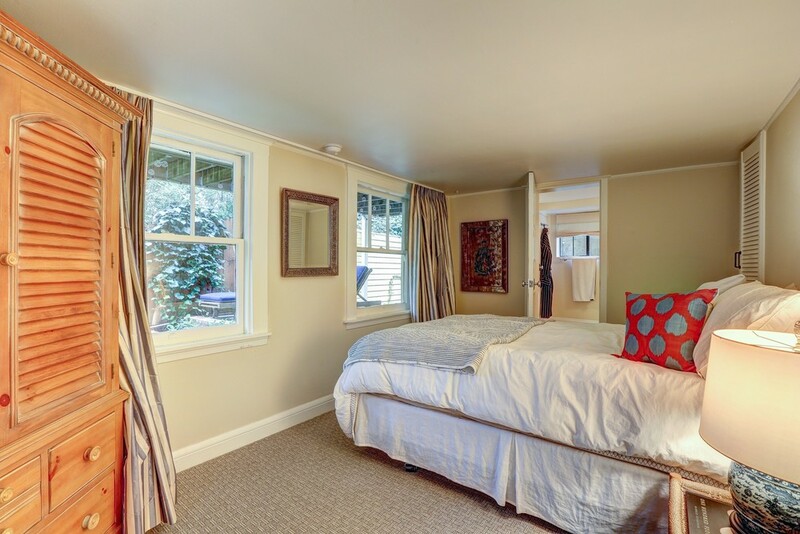 This charming cottage is situated in Boyle Park, one of Mill Valley’s most coveted locations with its vibrant downtown shops, cafes, restaurants and the Sweetwater music venue just a few minutes stroll away. For those with young families, just around the corner, is Boyle Park with its tennis courts, a playground, baseball field, and a huge sunny lawn surrounded by barbecues and picnic tables for birthday gatherings and the like. 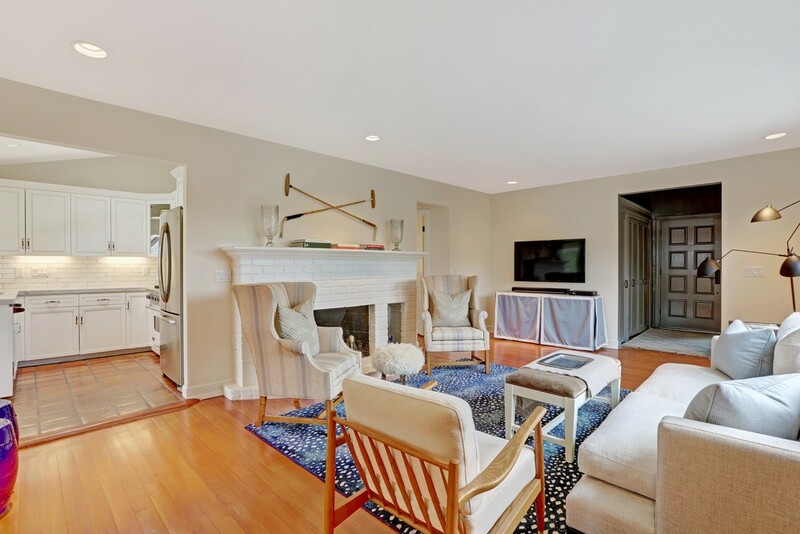 Immediately upon entering 31 Carmelita, one notices the gorgeous styling choices made by designer/owner, Lauren Ranes, beginning with the stunning front door and side Dutch door done in sleek, black lacquer paint from Farrow & Ball Fine Paints of Europe. 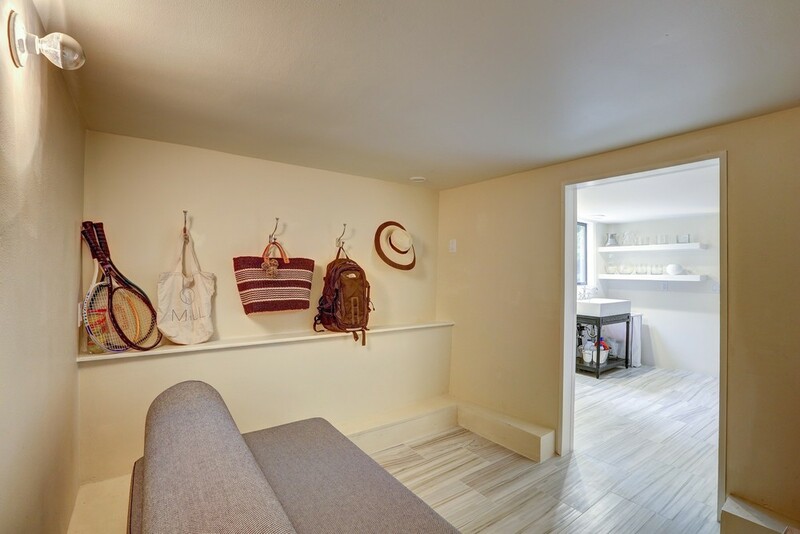 One is welcomed by a beautiful foyer with two large coat/storage closets. 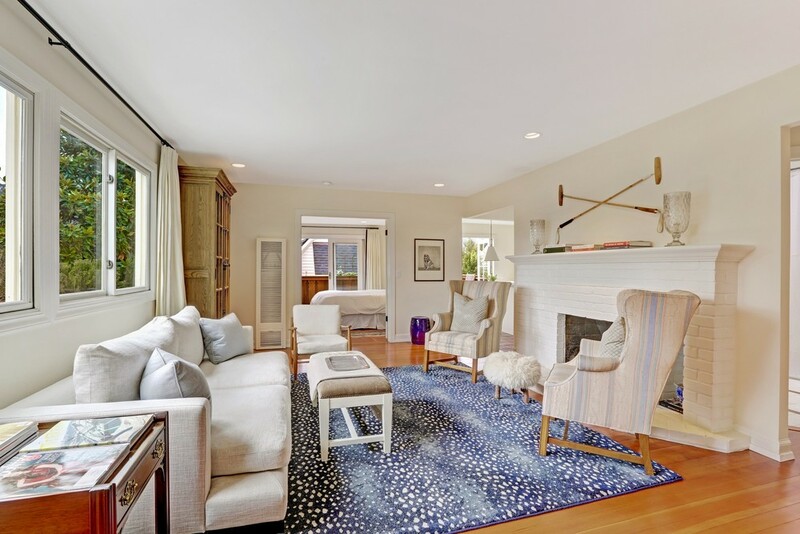 The centerpiece of the home is a gracious living room with tons of southern light and a large wood burning fireplace. 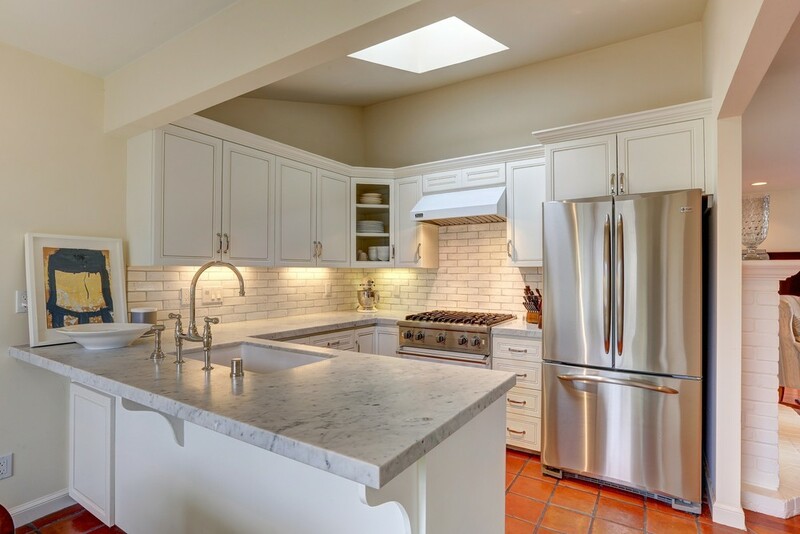 The open floor plan continues into a stunningly remodeled kitchen with stainless steel Viking appliances, Carrara marble counters, Waterworks tile, and Rohl sink and faucet. 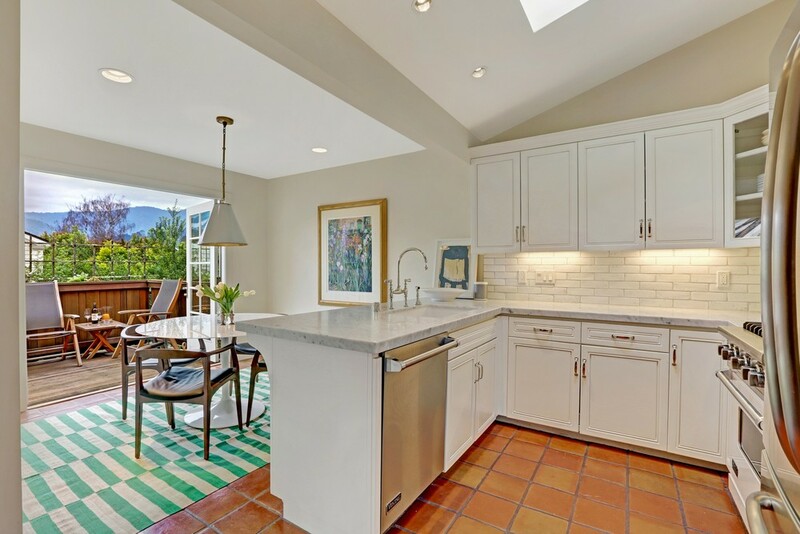 The kitchen opens to a brilliant dining area which walks out through French doors to beautiful deck overlooking Mill Valley and Mt. Tam. 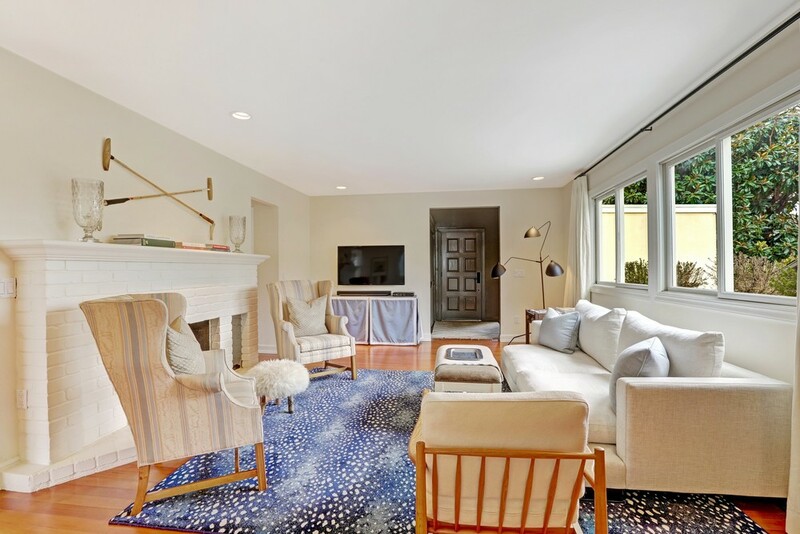 Also on this level are the spacious Master Bedroom with incredible views, and an office/nursery, anda gorgeous remodeled bathroom featuring Calacatta marble floors with Walker Zanger Teak inlay. Leading to the lower level are beautiful stairs covered in new Jute carpet by Stark. 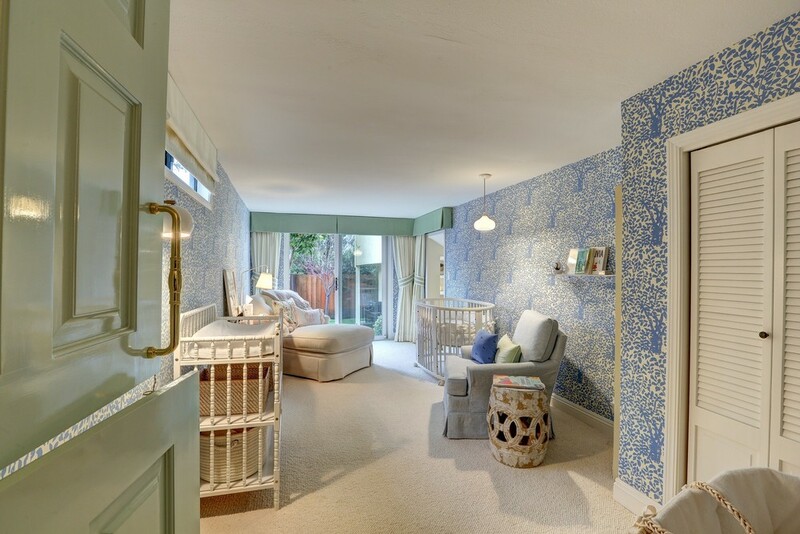 The first room is a gorgeous, large bedroom, currently used as a nursery, featuring new ivory wool Stark carpet and Quadrille wallcovering. 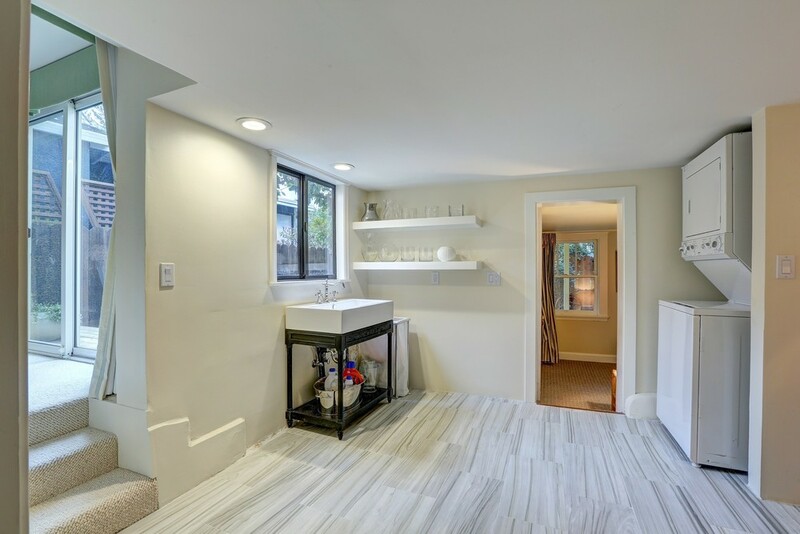 A laundry/mudroom features new tile floor and new sink/vanity from Restoration Hardware as well as a large bonus storage room. 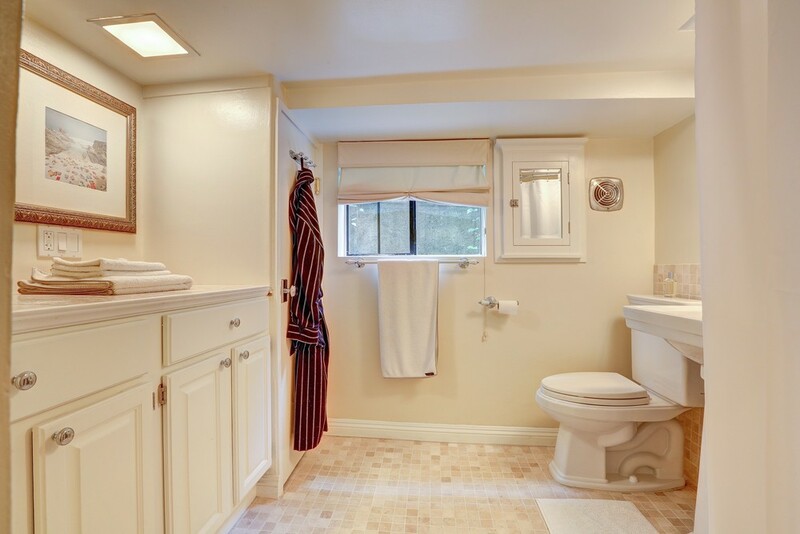 The 3rd bedroom is warm and charming with an en suite bathroom remodeled in the last few years. Outside the lower level is a gracious back deck leading to a charming, newly landscaped backyard and play area with artificial grass. New Restoration Hardware lighting accents the exterior of the property throughout. 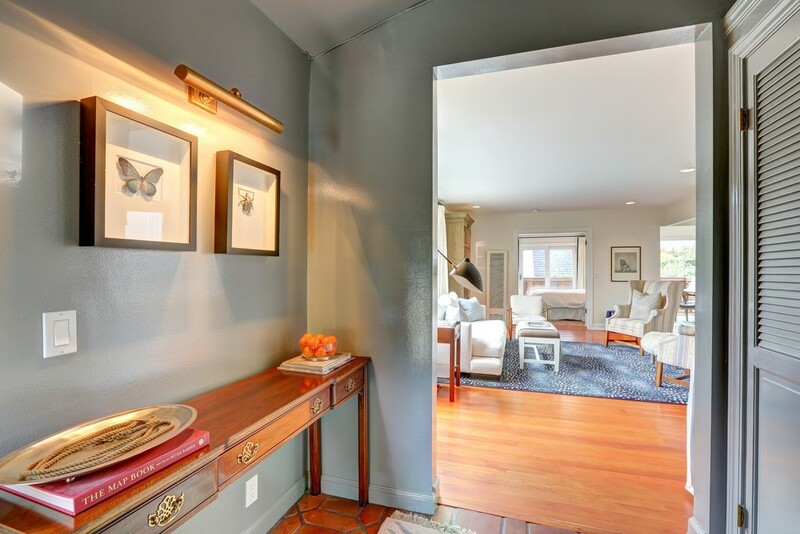 Thirty One Carmelita gives you everything you want in a Mill Valley home includingcozy charm with views of Mt Tam, a sunny, desirable neighborhood next to one of the town's best parks all in walking distance to the vibrant downtown everyone wants to visit.